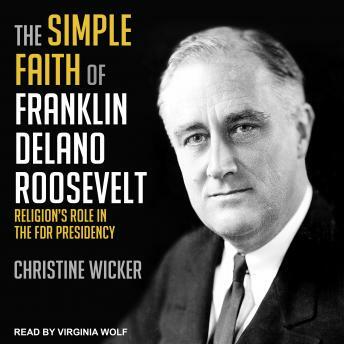 In The Simple Faith of Franklin Delano Roosevelt, religion journalist and author Christine Wicker establishes that faith was at the heart of everything Roosevelt wanted for the American people. This powerful book is the first in-depth look at how one of America's richest, most patrician presidents became a passionate and beloved champion of the downtrodden-and took the country with him. Those who knew Roosevelt best invariably credited his spiritual faith as the source of his passion for democracy, justice, and equality. Like many Americans of that time, his beliefs were simple. He believed the God who heard his prayers and answered them expected him to serve others. He anchored his faith in biblical stories and teachings. During times so hard that the country would have followed him anywhere, he summoned the better angels of the American character in ways that have never been surpassed.